Our friends over at I Love QC reminded us that the tools we normally use for live visuals and installations can be used in ways we never really thought of before – for this project they made a gameshow for the iSellMobile Awards 2013. 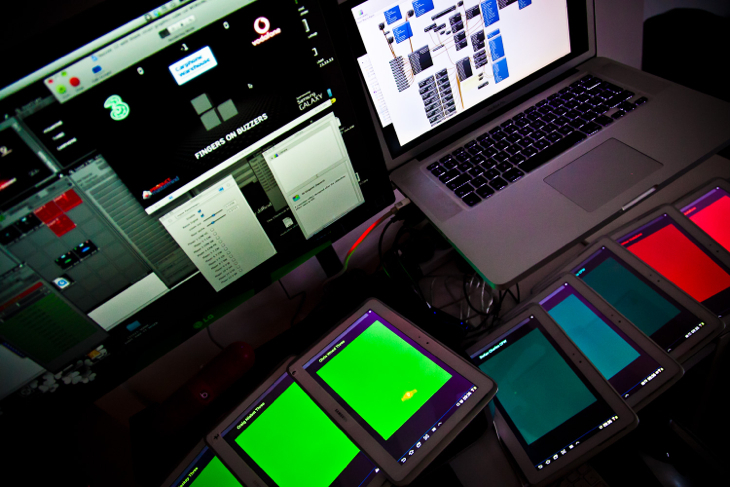 The system was powered by solely by VDMX and Quartz Composer along with a dozen Samsung tablets for the contestants to buzz in. For more details and additional photos visit the I Love QC Blog, or check our recent guest tutorial with Shakinda for an introduction to using Quartz Composer.